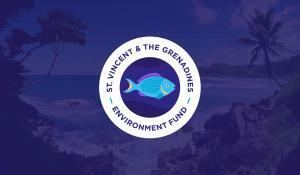 In March 2019 the St. Vincent and the Grenadines Preservation Fund refreshed its brand to become the St. Vincent and the Grenadines Environment Fund, a name that more accurately describes its mandate. A new website and logo are being launched. The new logo features the parrot fish as we wish to highlight the importance of protecting this threatened species, which plays a vital role in protecting coral reefs and making sand for beaches. We’re proud to be a member of a bigger an international network of Local Environment Funds whose logos are below.